According to Central Pollution Control Board date, the overall air quality index (AQI) of Delhi was 358. 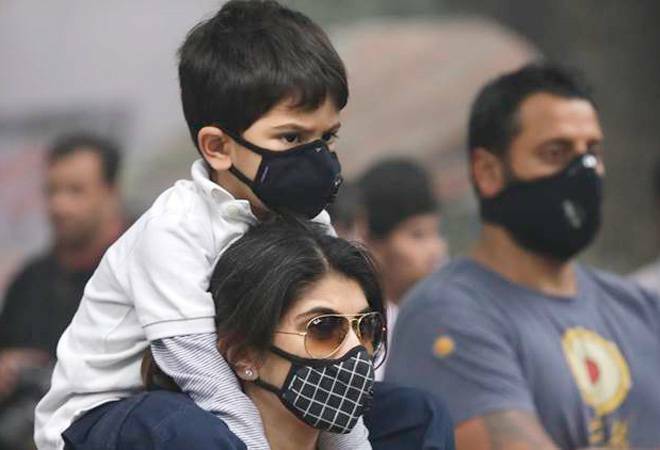 Delhi's air quality was in the 'very poor' category Friday due to unfavourable meteorological conditions that slowed dispersion of pollutants, with forecast of "significant deterioration" in pollution levels over the weekend. According to Central Pollution Control Board (CPCB) data, the overall air quality index (AQI) of Delhi was 358. An AQI between 0 and 50 is considered 'good', 51 and 100 'satisfactory', 101 and 200 'moderate', 201 and 300 'poor', 301 and 400 'very poor', and 401 and 500 'severe'. The CPCB said seven areas in Delhi, including Mundka, Rohini and Wazirpur, recorded 'severe' air quality, while in 25 other areas the air pollution level was in the 'very poor' category. The level of PM2.5 (particles in the air with a diameter of less than 2.5 micrometre) was recorded at 200 and the PM10 level was recorded at 351, it said. In NCR, Ghaziabad, Faridabad and Noida recorded 'very poor' air quality while Gurgaon recorded moderate air quality, CPCB data showed. According to the Indian Institute of Tropical Meteorology, the wind speed and ventilation index are "extremely unfavourable" for dispersion of pollutants. Ventilation index determines how fast pollutants can get dispersed. The ventilation index of around 6,000 sqm/second gets rid of pollutants, but it fell to 2,500 sqm/second Friday. According to the Centre-run System of Air Quality and Weather Forecasting (SAFAR), the air quality in the national capital is 'very poor' and might remain such for the next two days. "Due to cold front up in the north, the wind speed has increased. So, a decline (in pollution levels) is expected. However, at the time of withdrawal (of high wind speed) after two to three days, a lot of moisture may enter Delhi which is not favourable for the air quality," SAFAR said. The government agency further said the air quality of the national capital is expected to "significantly deteriorate" on Sunday due to a decline in temperature which might lead to entrapment of pollutants. However, even after "significant deterioration" the air quality is likely to stay in the 'very poor' level, it said.